Nagayama Takeshiro is called the father of the Tondenhei (farmer soldier). There is a district named “Tonden.” Tonden, Kita-ku, Sapporo City. 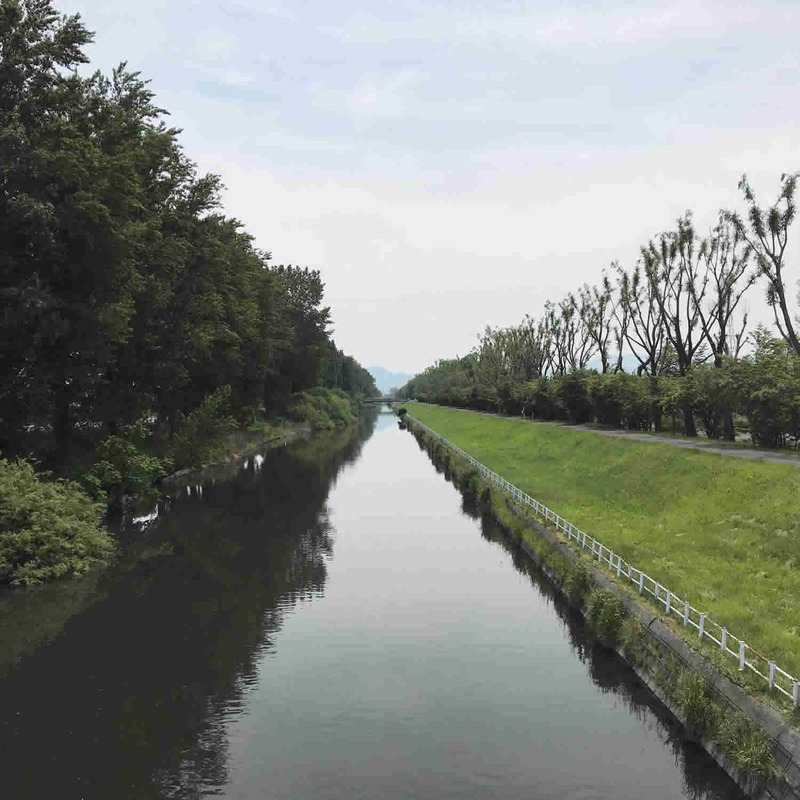 The history of the Tonden district on the lower Ishikari River basin shows another side of Sapporo. In the spring of 1899, Nagayama Takeshiro visited Shinoro Tondenhei Village (Kita-ku, Sapporo City). Since the Ishikari River flooded the previous year, he was there with Kataoka Toshikazu, Chamberlain to the Emperor Meiji, to inspect the area and encourage the people. During this period, Nagayama was the Army Lieutenant General and Commander of the 7th Division. Kataoka had previously explored Hokkaido by order of the Emperor and was an expert of the northern land. 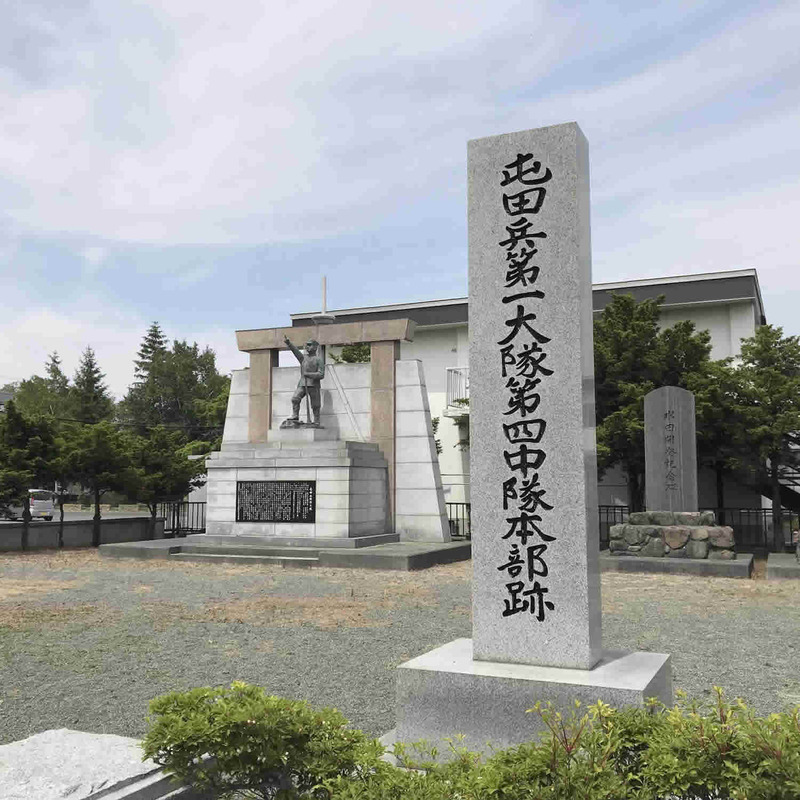 A record of the disastrous great flood of the Ishikari River in September 1898 can be found in the history of Hokkaido. According to the record, 2,295 houses were swept away or collapsed, 16,000 houses and 4,000 hectares of farmland were submerged in the flood. Shinoro Tondenhei Village near the lowermost Ishikari River basin suffered greatly; two-thirds of the area was engulfed by the water. The history of the development of Shinoro Tondenhei Village is filled with battles against the water. Development of the northern part of Sapporo began in 1887 when the Tondenhei settled in Shinkotoni. 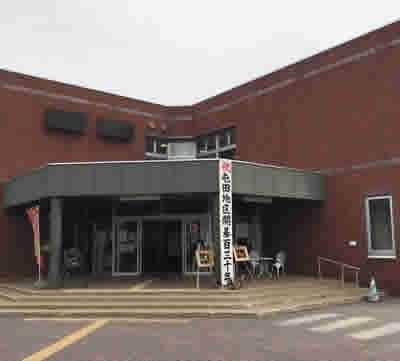 The last Tondenhei Village in Sapporo, Shinoro, was established in 1889, two years after settlement. When the soldiers and their families, 1,056 people, arrived in the village, there were 220 houses available. The soldiers who lived in the 220 houses were from many distant places, including Hokuriku, Kinki, Chugoku-Shikoku and Kyushu. Although the Tondenhei could enjoy some provisions such as initial food supplies and farming tools in addition to their houses, their days fighting with the northern land alongside their families were severe. For those who were born and raised in Western Japan, it was a strange land. Shinoro Tondenhei Village was located in one area of a vast swamp. It was unsuitable for development and was often submerged in water during the spring thaw or after a long rainy spell in the fall. To develop the land, an infrastructure to drain water had to be prepared first. Each family who settled in the village was given 5,000 tsubo (approx. 16,529 square meters) of land and a house. This was extremely large compared to a farmer’s land in Honshu at that time. The families were also given seeds of hemp, barley, wheat, adzuki beans, and potatoes. The soldiers in Shinoro Tondenhei Village not only had to cultivate the land they were given, but also had to dig ditches to drain the water from the land. They worked hard every day to dig drainage ditches and build the river embankment, but all their struggles were in vain once the flood struck. In addition to the development of the land, the Tondenhei engaged in national defense. Five years had passed since their settlement. It was March 1894, and they still had not achieved definite success in the development of the land. As tension between Japan and Qing mounted, the Tondenhei were organized into the temporary 7th Division. Lieutenant General Nagayama Takeshiro was their Commander. Although the soldiers called from Shinoro Tondenhei Village waited in Tokyo before going over to the Continent, the war ended before they stood on the battlefield. They did actually go to the frontlines during the Russo-Japanese War (1904-05) which Japan won, but 11 Tondenhei lost their lives. In 1904, a great flood hit Shinoro Tondenhei Village. This is the same year, the Tondenhei system was abolished and government assistance became difficult to rely on. With the loss of many of its men in their prime due to the War as well as the village nearly being swept away by the flood, many people abandoned Tondenhei Village. Of the 220 families who originally settled, this number sharply decreased to 72 families. 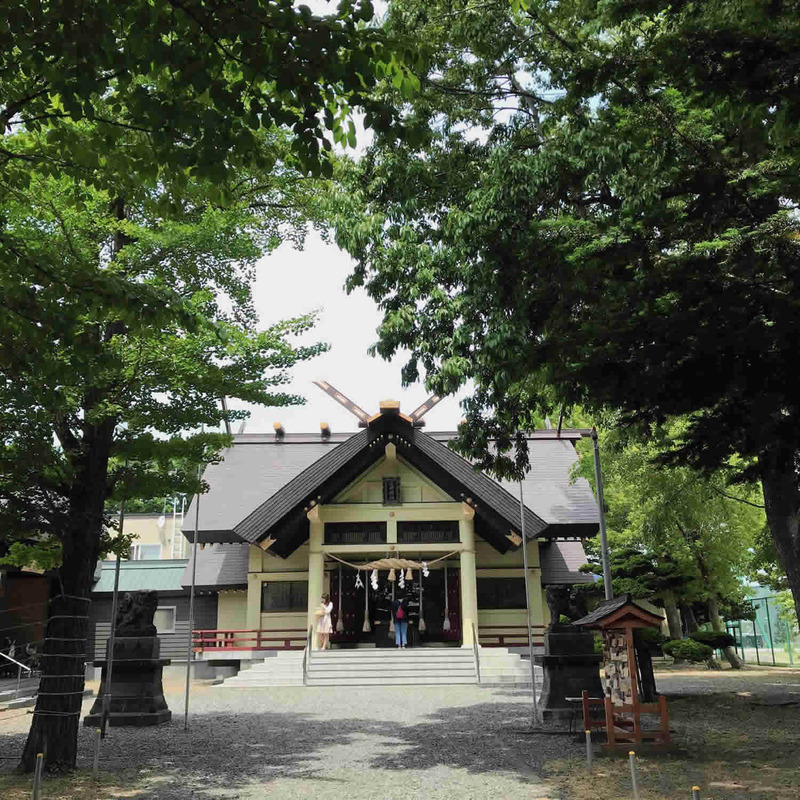 The history of Shinoro Tondenhei and all its difficulties can be learned at the Tonden Local History Museum built on one section of the former Tondenhei Village.